This is the third article in the Q&A series. I will be answering some of the most-asked questions about Google Analytics and how it works. If you’ve missed the previous articles, you can access Part 2 (What is the bounce rate in Google Analytics) and see what questions we answered there. How Google Analytics works for mobile apps? 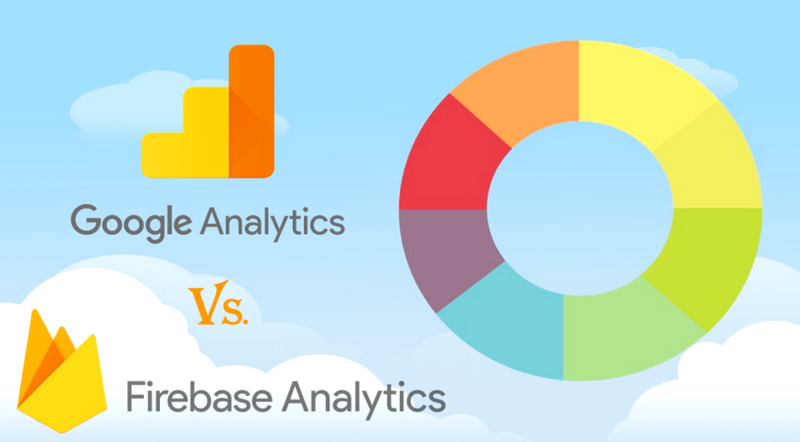 What are the differences between Firebase Analytics and Google Analytics? The main difference is that the data is not sent right away. Because a mobile device might not have a connection to the internet at some points in time, the data is stored on the device and is sent when it is eventually connected. The process is called dispatching and it’s done at different time intervals on Android and on iOS. On Android, the hits are dispatched every 30 minutes and on iOS, every 2 minutes. Those numbers can be customised though. Keep in mind that you can customise the code so that you can track different data in case you feel the base code is not sufficient for you. Firebase Analytics (FA) is another way to collect the event data. While Google Analytics is a general-purpose (and more web oriented) analytics tool, Firebase was built keeping mobile in mind. There are some things that were added in in the later and also things that are missing from GA.
Real-time view is missing for Firebase Analytics (we mainly use this when testing the app for new events). Events are available after 4 to 6 hours in Firebase Analytics. The Behavior Flow is missing from Firebase Analytics (since there are no screen views logged). The Audiences feature is a big advantage that FA has. If you couple this with the Notifications it will allow you to engage with a specific group of users. If users experience a crash, then an audience group will be created automatically when using the Firebase Crash Reporting feature. Funnel analysis based on custom events is easier in FA. However, if you use Littledata, then this problem can be solved for Google Analytics with the custom reports that we can build. Some events are logged automatically in Firebase Analytics (for example the sessions based on the Activity life-cycle). Firebase has a relatively low methods footprint compared to the methods count that Google Analytics uses – making it less processor and network intensive. As a final point there are benefits for using both platforms to track your Analytics, but if you do focus your business on mobile applications, keep in mind that Firebase Analytics was created for mobile apps.